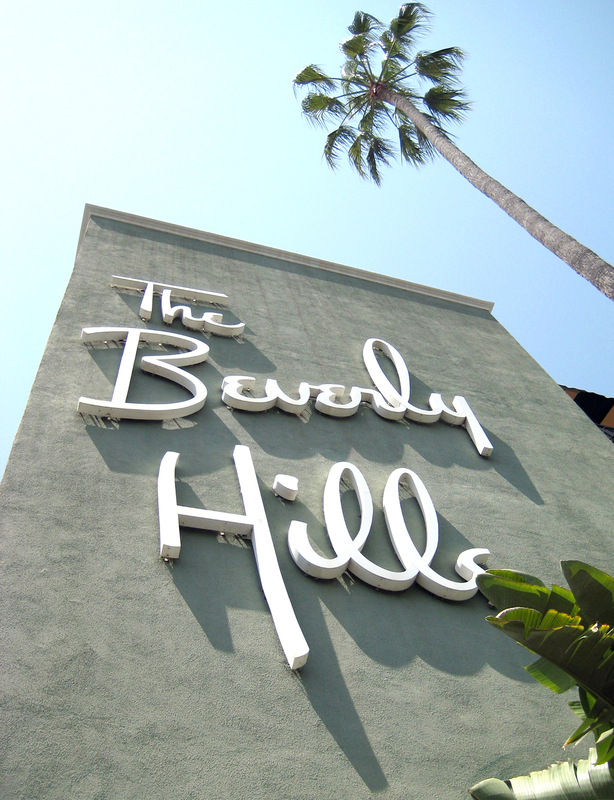 For a century now the Beverly Hills Hotel, known as 'the Pink Palace,' has defined the Sunset Boulevard skyline. It's a luxurious pad that has been semi-permanent home or transient stopover to Howard Hughes, Spencer Tracy, Aristotle Onassis—even LBJ. Its upscale Polo Lounge is legendary for deal-making Hollywood meetings. Downstairs, the humbler Fountain Coffee Room is affordable and just, well, charming in a soft-spoken, streamlined style. The Fountain Coffee Room, which was designed in 1949 by architect Paul R. Williams with his signature tasteful curves, is a dream of a tropical paradise. Williams, a pioneering African-American architect who designed many homes for Hollywood stars, always had a lightness of touch and true elegance in his designs, whether they were French or Spanish Revival, Streamline Moderne, or likably modern. 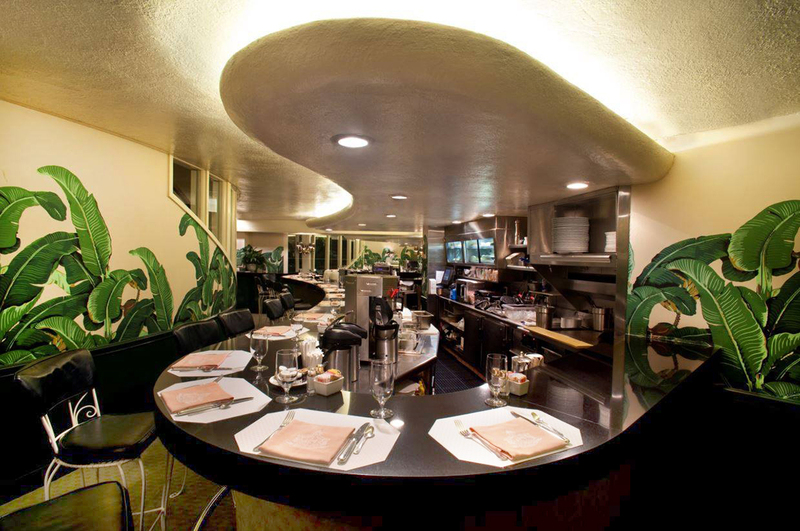 Diners at the Fountain Coffee Room are surrounded by banana fronds on wallpaper designed by former dancer Don Loper, and sit at an amoeba-curved counter beneath a curving ceiling pale with artful recessed up-lighting. Even the walls curve in a comforting way. The menu too, "inspired by the soda fountains of the 1940s," according to the hotel, is comforting. Breakfast is served all day, including smoked Scottish salmon omelet, and sandwiches come packed, including or especially the Grilled Russian On Rye.